Extremely widespread, common and not threatened. 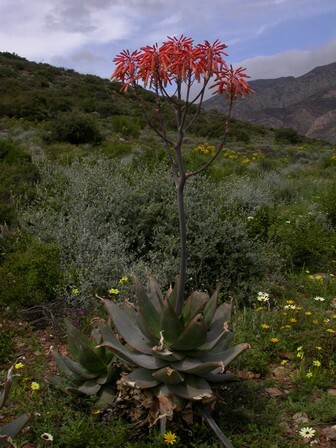 Extremely widespread and common in South Africa, ranging from the Cape Peninsula along the Western Cape south coast to the Eastern Cape, where it also occurs further inland in the northern parts of the Eastern Cape to the Drakensberg foothills. It is also found on the highlands of Lesotho and the Free State, but does not occur on the highest peaks of the Drakensberg Escarpment. In KwaZulu-Natal the range extends along the Drakensberg foothills and through the Midlands northwards to southern Mpumalanga. 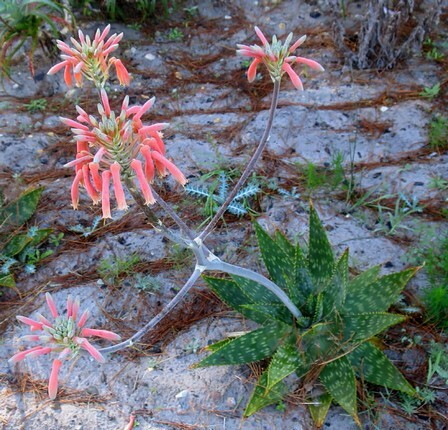 A. maculata also occurs in the Inyanga district in Zimbabwe. Highly variable. 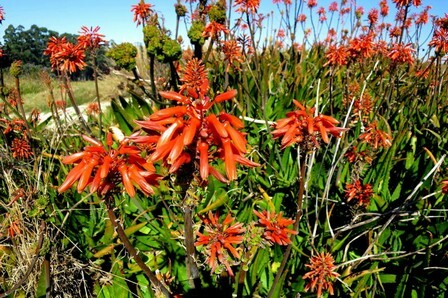 Occurs mostly in grassland, from sea level to high altitude alpine flora in the Drakensberg. Also often found in rocky outcrops and thicket vegetation. 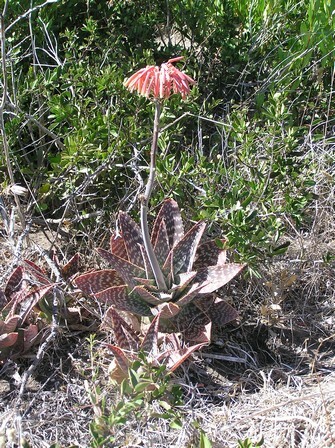 A. maculata is extremely common, widespread and not in danger of extinction (Van Wyk and Smith 1996). No threats.